BERLIN - Two fundraisers are scheduled to help the Berlin-Peck Memorial Library make up for a cutback in programming funds from the Friends of the Berlin-Peck Memorial Library. That cutback was due to proceeds from Friends book sales coming in lower than usual. Installation of a new elevator for the library between October 2017 and April of this year meant no sales could be held during that period. 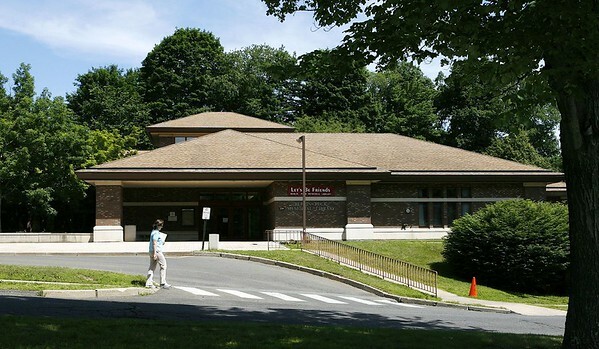 “Whatever we can get will help,” said Library Director Helen Malinka. Bertucci’s in Newington will host a fundraiser on Thursday, Nov. 8, from 11:30 a.m. to 10 p.m., duringwhich a percentage of lunch, dinner or take-out orders will be donated to the library. Customers can trigger the donations by mentioning the library or presenting a flier, available online at berlinpeck.org/bertuccis or berlinschools.org or at the library, 234 Kensington Road. Bables and Bling! will then host a gently used jewelry sale on Saturday, Dec. 1, in the library’s meeting room from 10 a.m. to 3 p.m. Most items will be priced from $1 and $10 and will include brooches, necklaces, earrings and bracelets. Those wishing to donate jewlry can do so until Nov. 24. Those looking to work at the sale are asked to email Malinka at hmalinka@berlinpeck.org. The fundraisers are being done with help from the library’s Board of Trustees, Malinka said. Posted in New Britain Herald, Berlin on Tuesday, 6 November 2018 22:09. Updated: Tuesday, 6 November 2018 22:12.